Experience what it was like to attend one of the best fests in southern California, as Top Shelf Reggae journalist Kristy Rose covers Day One of Arroyo Seco Weekend 2018 at the Pasadena Rose Bowl vlog style. Getting there a little late, the video explores half the first day's festivities, featuring headliner Neil Young, ska legends The Specials, Jack White and more. 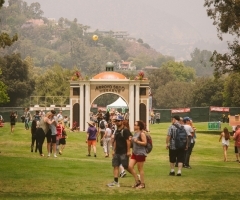 Stay tuned for the full Day Two vlog to come and explore our Top Shelf Reggae site for more Arroyo Seco Weekend 2018 coverage.